Since 2013, Dominguez Cleaning Services, Inc has been the trusted and preferred house cleaner in Philadelphia, Pennsylvania. Serving the cleaning needs of Philadelphia and surrounding areas, Dominguez Cleaning Services, Inc's close attention to detail, trustworthy staff and reliable cleaning services have quickly made us the Philadelphia area's first call when house cleaning is on their to-do list! Wouldn't you love to come home from a long day at the office to a beautiful, spotlessly clean house? For over 6 years, Dominguez Cleaning Services, Inc has been making hectic weeks and busy schedules so much easier for the Philadelphia area. Without having to worry about cleaning the house on top of everything else, there is more time for you to enjoy your evenings relaxing, weekends fun and care free, and "down time" truly down time! Call (215) 297-6465 to speak with the owner of Dominguez Cleaning Services, Inc directly. We will give you a free quote on the house cleaning services you're in need of. Whether you're looking to setup a regular house cleaning schedule, looking for someone to clean up post-construction, or in need of a detail-oriented cleaner to do a thorough deep clean, Dominguez Cleaning Services, Inc offers a wide range of cleaning services to keep your home clean and inviting. 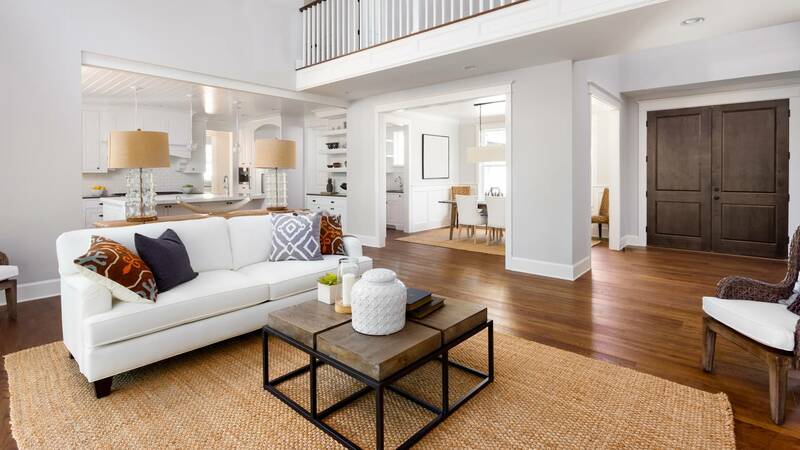 Philadelphia Area Post Construction Cleaning: Developers, builders and homeowners in and around Philadelphia depend on Dominguez Cleaning Services, Inc's post construction cleaning service to make their new home or workplace shine. Dominguez Cleaning Services, Inc’s Philadelphia post construction cleaners will transform your construction site into a safe and clean space, ready for occupancy. Dominguez Cleaning Services, Inc has been cleaning construction in the Philadelphia area for over 6 years, exceeding our customers' expectations every time! To learn more about post construction cleaning in Philadelphia Pennsylvania call Dominguez Cleaning Services, Inc at (215) 297-6465. Philadelphia Maid Service: From dusting, vacuuming, mopping, kitchen cleaning, and bathroom cleaning, we provide all of our own cleaning equipment and house cleaning supplies that will leave your Philadelphia home clean, fresh, and spotless. Dominguez Cleaning Services, Inc holds each member of our cleaning staff to a very high standard to ensure you're provided with the same high-quality service every time we clean your Philadelphia home. Move in/Move Out Cleaning in the Philadelphia Area: Aside from all of the packing, running around, scheduling and stress that comes with moving into a new place or moving out of your current one, cleaning is needed but where's the time? Dominguez Cleaning Services, Inc will take care of everything for you! Our reliable, timely house cleaners in Philadelphia will make sure your apartment is move-in ready for the next tenants or your newly purchased home is spotless for you to move in to. Whatever you need, Dominguez Cleaning Services, Inc's got it! We have been helping people move in and move out in the Philadelphia for over 6 years, and we're here to help you too. Call any time to discuss your Philadelphia home cleaning needs.